Editor: Here is a series of articles and accounts about the history of community planning in Ocean Beach going back to the Sixties and Seventies. 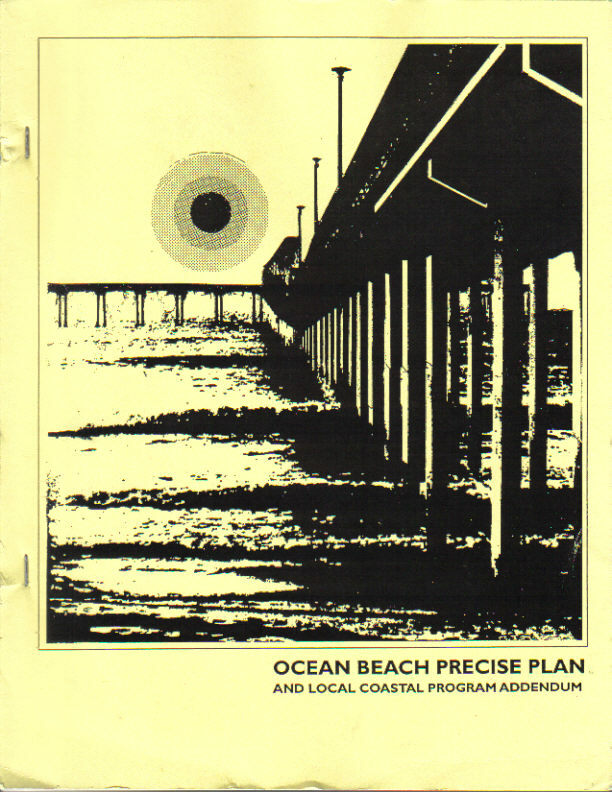 It is not a complete history, but does offer up an early history of the Ocean Beach Precise Plan, the planning crisis that faced the community in the early 1970s, OB Planning Board, and OB’s response – which by the middle of that decade – made California history. 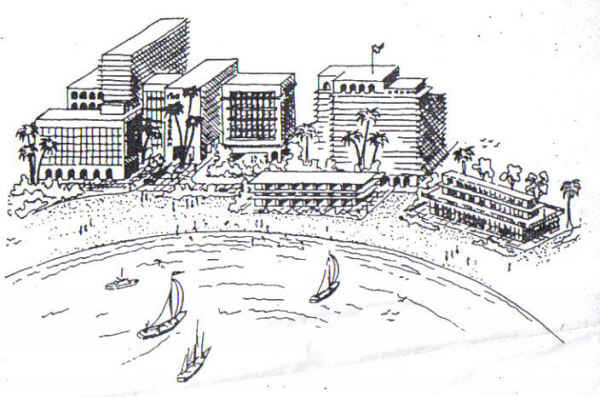 Vision for OB’s waterfront in original OB Precise Plan. an introduction to the story about OB’s historic battle over the Precise Plan and about the fight to make urban planning a democratic process – which in the end directly saved Ocean Beach from over-development, enabling it to be the quaint village it is today. we take a look at the history of urban development and planning on the Peninsula, and how the planning crisis which developed during the early seventies was resolved with the formation of the OB Planning Board. 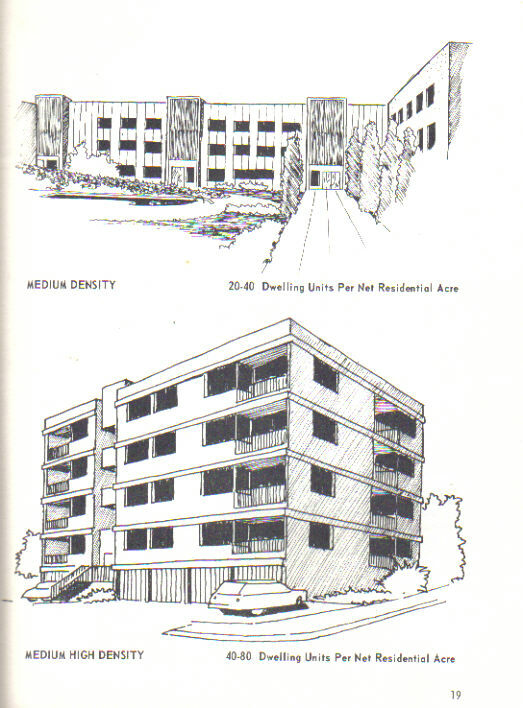 Medium and medium high density buildings proposed in first OB Precise Plan for much of the community. we reviewed what the first Precise Plan represented, and just who were the members of Peninsulans, Inc., the local establishment group who wrote it. the opposition to the first Precise Plan mobilizes to deal with the crisis. NOTE: I will be speaking on all these issues – tonight – Feb. 21st – at the monthly OB Historical Society’s event, 7pm at the Methodist Church community room, corner of Sunset Cliffs Blvd and Saratoga. C.A. Smith’s efforts to remake OB inspired many to get involved – sometimes in surprising ways. A co-worker of years ago, Ralph, lived in an apartment at the foot of Brighton St. facing the ocean. At that time in 1971 he was a loan officer at B of A – a very straight fellow. Walking out the door one morning, dressed in his suit, he saw bulldozers and a small crowd. Curious he walked over and asked – discovered the bulldozers were there to construct a new jetty (now the short jetty forming the south side of Dog Beach) as part of the plan to dig a channel up to Mission Valley. The scope of the effort so upset him that he forgot about work and two hours later found himself getting arrested when he joined in with others to stand in front of the bulldozers. Ralph and many other unnamed citizens stopped the work that day and in the days ahead more and more folks showed up. The jetty didn’t get far. Ralph quit B of A grew his hair long (had a ponytail when I met him) and learned to love and appreciate OB. Frank, thank you for the presentation and OB Historical Society thank you for these meetings and the great people who attend!